What is PET scan lung cancer? We'll find out. Lung cancer is classified into two major types. The first one is SCLC or Small Cell Lung Cancer. The primary characteristic is small cancer cells. Although small, they can quickly grow and spread to other areas, including the lymph nodes and distant organs. The second type is called Non-small Cell Lung Cancer. As one of the most common types, the development of the cells is also fast. It is further divided into several subtypes. Lung cancer is life-threatening especially in later stages. The worst part is it can be hard to detect because it doesn’t really cause symptoms during early development. However, it is often associated with persistent cough. If you’ve had a cough for weeks, please get a medical checkup because this is not normal. It may not be an indication of cancer, but persistent cough is still worrying. Another common sign is reddish mucous, mainly caused by internal bleeding. Other symptoms you should never ignore are chest pain, abnormal weight loss, and shortness of breath. Weight loss is normal, but not when it occurs over a short period of time. Survival rates vary greatly by stage. Of course, the highest percentages usually belong to early stages or when cancer has yet to spread to distant areas. For this particular type, 5-year survival rates are still below 50%. Stage 1 has the highest chance of survival, which is 31%, while stage 2 and 3 follow behind with 19% and 8%. Stage 4 is even lower at 2%. Due to the lack of symptoms in early stages, most cancers go undiagnosed. They are commonly found when the patients have a CT scan for another reason. 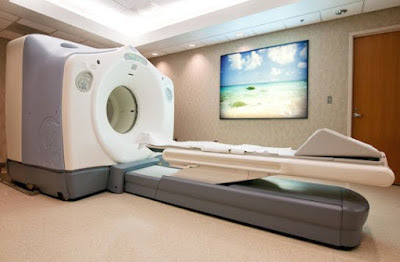 PET scan is an imaging test which involves a radioactive substance in the process. It is different from MRI or CT scan. The goal is not to study the structure of the lungs, but to identify how well they work especially the tissues that make up these organs. This test needs a tracer which is injected through a vein. It will later travel throughout the body with the help of the blood and end up accumulating in tissues. With this test, the doctor will be able to have a closer look of certain areas. It normally takes up to 1 hour until the substance is absorbed completely by the body. 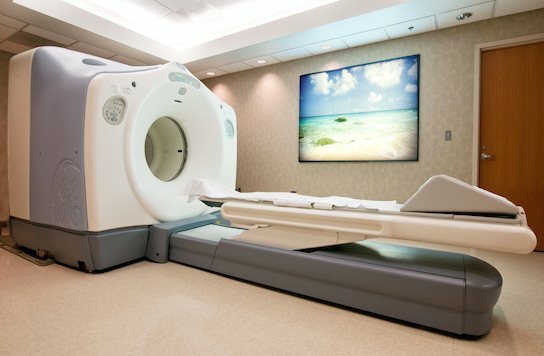 A PET scanner will later be used to transform it into 3D images.